Trilateral talks were held in Brussels with representatives of the European Commission, Ukraine and Russia on the future transit of gas through Ukraine to Europe. For the first time at the talks, Ukraine and the EU acted concertedly and gave a main message that gas transportation from 2020 should be based on EU norms and rules. Negotiations in Brussels were held with the participation of EU Commission Vice-President in charge of the Energy Union Maroš Šefčovič; Ukrainian Foreign Minister Pavel Klimkin and the head of Naftogaz Ukraine Andrei Kobolev; Russian Energy Minister Aleksandr Novak and Deputy Head of Gazprom Aleksandr Medvedev. Šefčovič stressed that in order to reach an agreement, “a strong desire of both parties to advance the negotiations” is necessary. He also recalled that the gas contract ends at the end of 2019. Andrei Mizovets, president of the Association of Gas Traders of Ukraine spoke on possible options to achieve a common denominator in the gas issue. [Correspondent] After the talks, Ukrainian FM Pavel Klimkin said that Russia was delaying negotiations, awaiting the results of the presidential elections. How can elections in Ukraine affect the outcome of the negotiations? [Andrei Mizovets] I do not exclude that Russia is waiting for some influence of the presidential elections to be held in Ukraine at the end of March. If you look at the situation at all, as the Russians negotiate, then I do not expect any agreement at all, either in spring or in summer. I think that if the parties come to any decision, it will happen closer to the heating season of 2019-2020, when the Russians will once again try to play on the needs of Ukraine in import resources and, accordingly, will again feed everyone with horror stories that Ukraine is freezing. We know perfectly well how Russia is putting pressure. [Correspondent] By holding talks concertedly with Ukraine, Europe showed its direct interest in stable long-term Russian gas supplies through Ukraine for 10 years. Do you think that the position of Europe will somehow affect the acceleration of the agreement process? [Andrei Mizovets] Every time I want to hope that Europe will still force Russia to play in the European legislative field. There is a third energy package of the EU, to the complete fulfillment of the conditions of which Ukraine is moving. It provides for the separation of transit, production and sales, so that all three components are not in the same hands and do not have a monopoly on the situation. Russia, obviously, does not quite agree with this and does not intend to obey the rules. Obviously, they are trying to get for themselves some exclusive preferences. We see that Nord Stream 1 was built, despite serious opposition of the European community, and Nord Stream 2 is also being built against the background of difficult negotiations. Russia is trying to get the maximum access to the European market bypassing other transit routes, such as Ukraine, Belarus, Slovakia, Poland, respectively, to get direct access to the EU countries, while Germany will be the main recipient and manager of Russian gas. [Correspondent] What is Germany's interest in this issue? [Andrei Mizovets] First, to get as much gas as possible from different sources - this will allow you to have a lower price than other countries, which is a competitive advantage. And secondly, despite the fact that Germany is a member of the European Union, it can, as they say, ensure its own energy security. She thinks first of all about herself. From their point of view, this is normal, they are pragmatists. I do not say that such a position is with all EU countries, but Germany, in words supporting sanctions against Russia, still follows its own line. But regarding the rest of Europe, the best option here would be to transfer the point of purchase of natural gas to the eastern border of Ukraine. Then, buyers from the EU countries could understand that they have a wide choice of options for buying Russian gas and the route for its further transportation - either via the Nord Stream and continue to transport it to Europe, or buy it on the eastern border of Ukraine and deliver via Ukraine's GTS and so on, and to be able to choose the most suitable shipping cost and route. For Ukraine, this would be an ideal option, since we have lower transport tariffs for gas pumping since the beginning of this year, and our gas transport system would be more attractive than other gas supply routes. But surprisingly, in these negotiations, I did not catch even a hint of such a scenario. Although earlier such a scenario was repeatedly voiced by Ukraine and the EU countries. [Correspondent] That is, in fact, Russia is resorting to the blackmail and pulls time to negotiate better conditions for itself? [Andrei Mizovets] I would not call it "blackmail". Most likely, this is not entirely honest methods of struggle. [Correspondent] Explain, because the contract ends at the end of 2019, and the Nord Stream 2 starts with the most optimistic scenario in 2021. That is, there is a time gap. Russia, too, should have its own plan for this gap? [Andrei Mizovets] Until 2021, Russia has no technical capacity to pump gas, using only capacities of Belarus, Nord Stream 1, and hypothetically Turkish Stream, bypassing Ukraine. Therefore, it is rather a good mine with a bad game. Or they will have to reduce the volume of gas supplies. But I think Russia is unlikely to go on a similar scenario. I can say one thing: with the volume of transit gas in the amount of 15-20 billion cubic meters, declared by the Russian president, our GTS will remain unprofitable, alas. [Correspondent] Then let's talk about prices. How much will Ukraine lose if Nord Stream will still be launched before 2021-2022? [Andrei Mizovets] If one foresees the worst scenario, I mean, if this happens all the same and the gas runs through Nord Stream 2, relatively speaking, on January 1, 2022, there are serious concerns with the provision of gas supply to the north-east of Ukraine. I cannot say more, since this is quite a serious study and people in Ukraine who can calculate such scenarios for Ukraine can be counted on the fingers of one hand. [Correspondent] As for the domestic market, what reformatting of the market can occur in case of transit in small volumes? [Andrei Mizovets] Actually, for over three years, we have not bought gas from Russia. And we have survived several winters. All horror stories about this once again proved their inconsistency. That is, the domestic market in no way will be affected by such a scenario. As for the technical side of the issue - there are some nuances. Since today gas transit flows through our country from east to west, and not vice versa, there are no problems. But if there is a technical need to ensure the full functioning of our gas transport system in an exclusively reverse mode - from west to east - then, obviously, we will have to transport the entire missing resource from Slovakia, Poland, Hungary, and Romania without Russian transit, which causes some concern. [Andrei Mizovets] I think it is the most important moment to force Ukraine to abandon its claims in the form of compensation under a transit contract, which Ukraine won in court. The requirements of our country, and we are supported by the European partners in this - the new contract should be concluded strictly on European principles and according to European rules. [Correspondent] Are some experts not too pessimistic that under the new conditions of transit, the population will suffer from higher gas prices plus inflation...? [Andrei Mizovets] I am skeptical of the jump scare. Why? 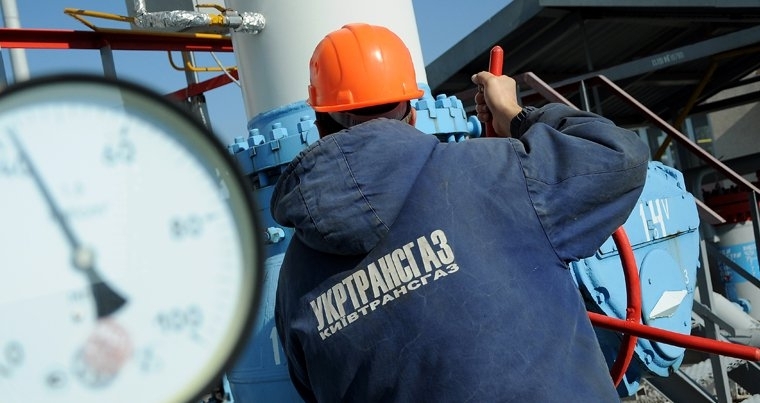 For the entire 2018, Ukraine consumed 33bn cubic meters of gas. Of these, industry consumes almost a third - about 10bn cu. m, and has long been working in market conditions. Everyone is used to the fact that the price may fluctuate depending on supply and demand, on European prices, on the price of oil, on air temperature, finally. The same should happen for the population, for which there must be market prices. Simply, as I understand it, the country's leadership lacks the political will to take such a step. [Correspondent] Summing up our conversation, what is the likelihood that Europe can remain without gas? [Andrei Mizovets] This is a fairy tale. The European market is very seriously and reasonably diversified. Well, Russia is not a suicide either - they are well aware that if they go for it once, then no one else will ever deal with them. They will consume their gas themselves.